Posted on February 20, 2015 by Who Said That? Lucy always had all the answers. 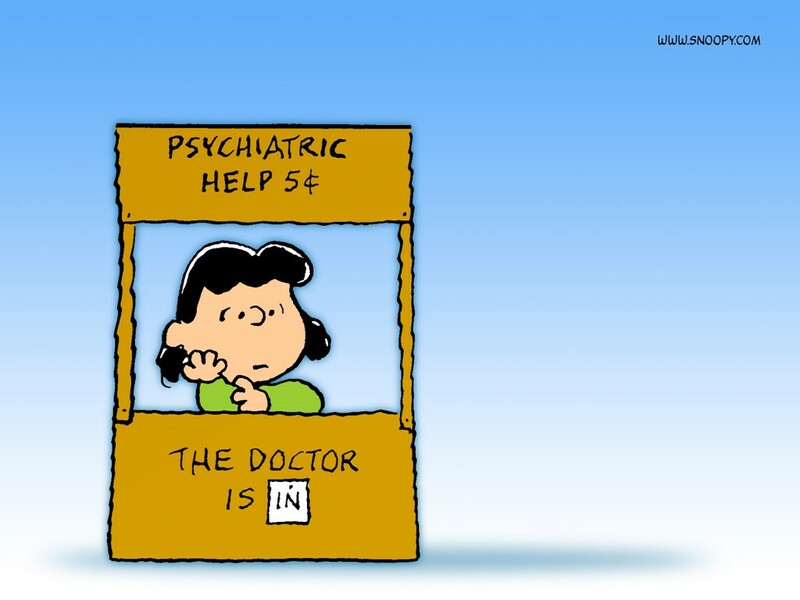 I don’t remember Charlie Brown’s problems, but she definitely knew what he should do to fix them. Isn’t it amazing how easy it is to tell other people what to do? It seems so simple. My own sticky situations throw me for a loop, but phrases like “All you need to do is …” and “Why don’t you just …” flow freely from my lips. Give me 5¢ (or a glass of wine) and I’ll tell you just what you need to do to solve all your problems. This entry was posted in Life, Tilting Toward Balance and tagged Charlie Brown, Humor, Self Deprecation, Solving Life's Problems by Who Said That?. Bookmark the permalink. If you give me a glass of wine, I’ll be brutally honest about what a person should do…..Heh, not always the best advice though. But of course, I always entertain the recipients of my vast wisdom.